Join us on Thursday, January 24 for a very special red carpet event in celebration of the world of Esports and the Rainbow Six Siege Pro League. 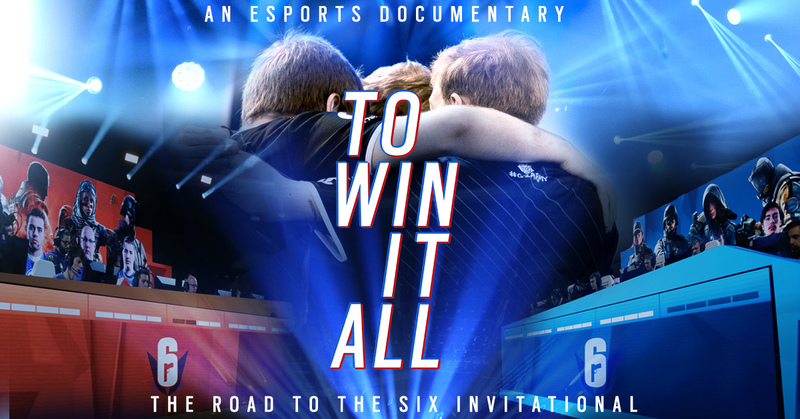 To Win it All: The Road to The Six Invitational follows 3 top Rainbow Six Siege players from around the globe: Pengu (G2), Canadian (Evil Geniuses), and Zig (Team Liquid). Meet the elite of Siege, as they compete and train around the clock for the 2019 Six Invitational, and its life-changing $1,000,000+ prize pool – all while trying to balance their lives and relationships with friends and family. Get exclusive Siege-themed door prizes, including a free poster featuring community-created artwork. Round up your fellow operators, and get ready to breach in to the Esports movie event of the new year!